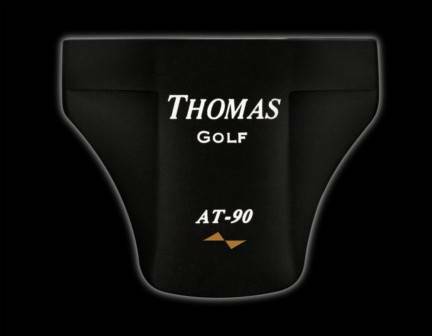 The AT-90 mallet long putter is the newest edition to the Thomas Golf line. While it shares the red aluminum striking plate, square weight bars and black stealth finish of the AT-91, the weight distribution of this putter makes for a dynamically different feel. The square weight bars of the AT-90 are centered symmetrically just on the perimeter of the sweet spot. 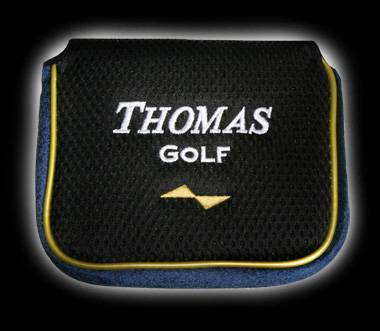 This allows for a more solid impact with the golf ball, resulting in a better roll and feel when making your putt. 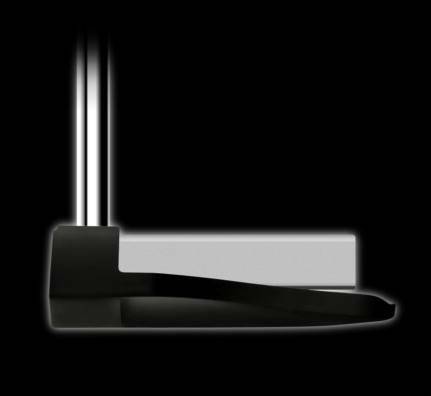 The square bars are also useful by allowing you to frame the ball within the bars, providing extra alignment when looking down at your putt. 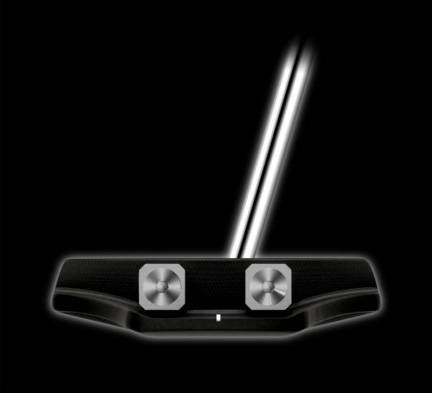 The AT-90 has achieved the most extreme MOI by combining an extra-light aluminum body with heavy weight bars placed on the perimeter of the putter's sweet spot. 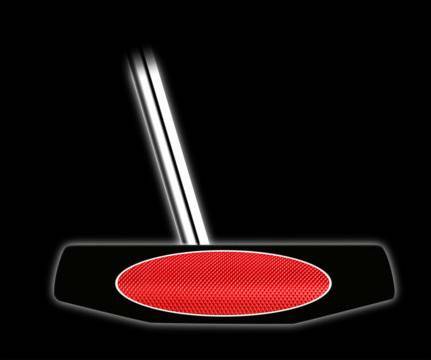 The weight bars are the first ever with flat tops and sides to further improve alignment of the putt. This AT-90 model is center-shafted for greater stability during the stroke. 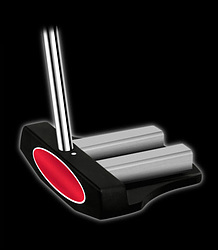 It features a machined face and high grade CNC-milled red aluminum striking plate insert. 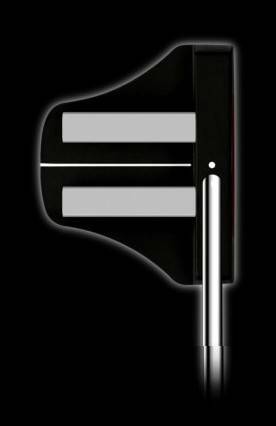 The extended mallet design offers a little extra heaviness for golfers who prefer more weight than traditional style putters.